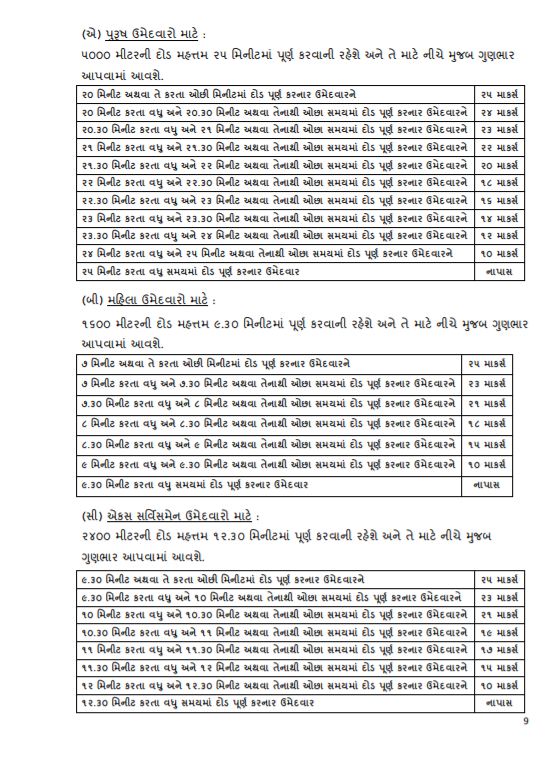 LRB Police Physical Running Exam Detail ~ :: GujaratGk :: Official Site :: Gujarat's No. 1 Educational Website.. If You Want To Apply For Police Constable Job 2018, Then You Have To Follow Below Given Eligibility Criteria. Male 5 KM 25 min. Female 1.6 KM 9.30 min. Police Running Test Marks will be base on your race complating time. Here Is Full list of race complating time with marks details. for male candidates you have to complate 5km distance in maximum 25mins for passing police running test. female candidates have to complate 1.6km distance in 9.30min for passing. if you complate this distance before maximum time limit then you will get marks in below rasio. 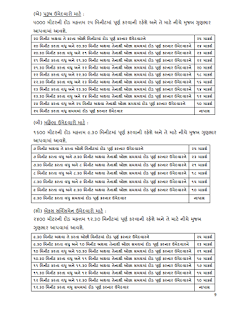 How to Download LRB Police Bharti Answer Key With Question Paper ?